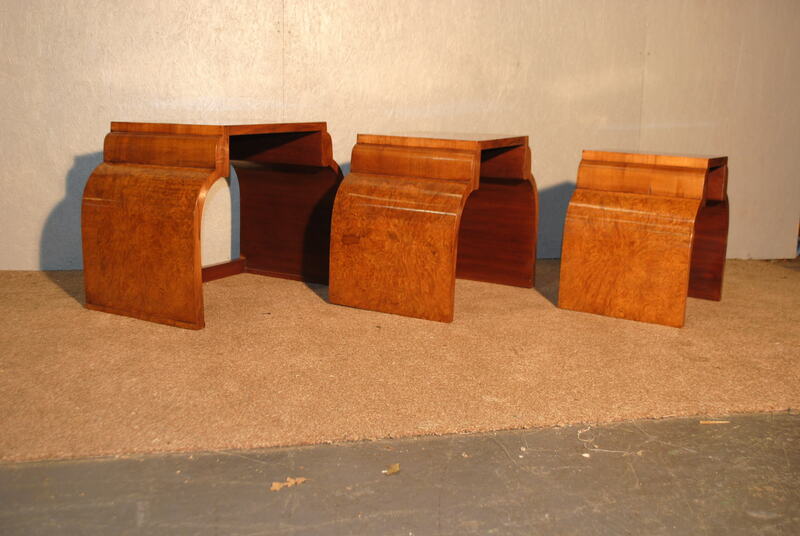 Original Art Deco Hille Nest of 3 Tables, fantastic rare shape! 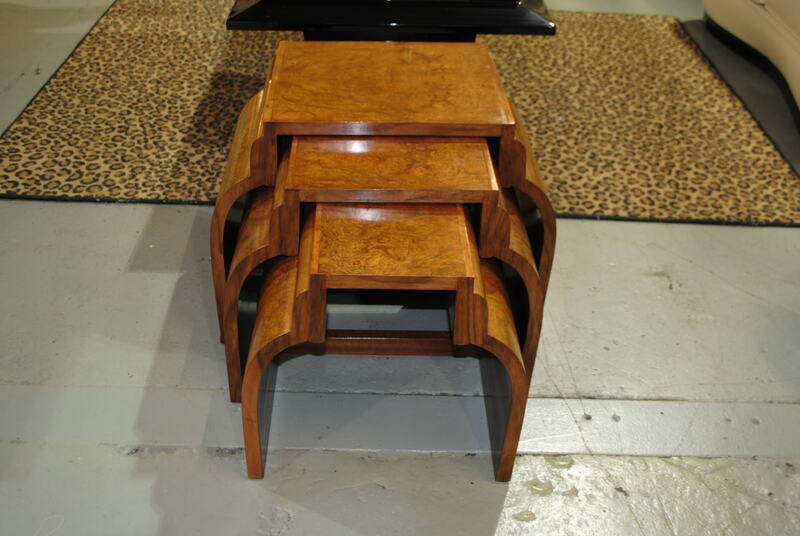 What a wonderful nest of tables, top quality and great design we have come to expect from Hille. Where else can you find such wonderful shapes. 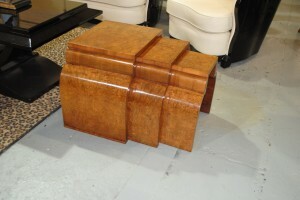 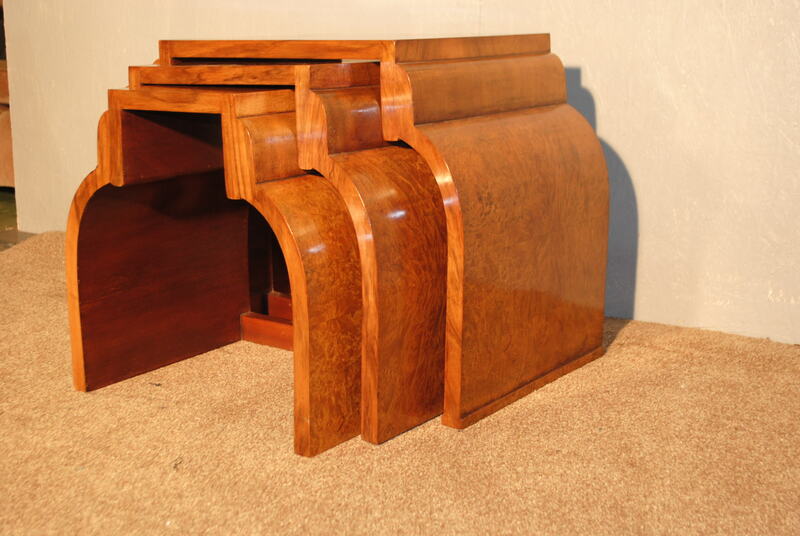 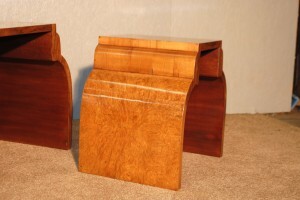 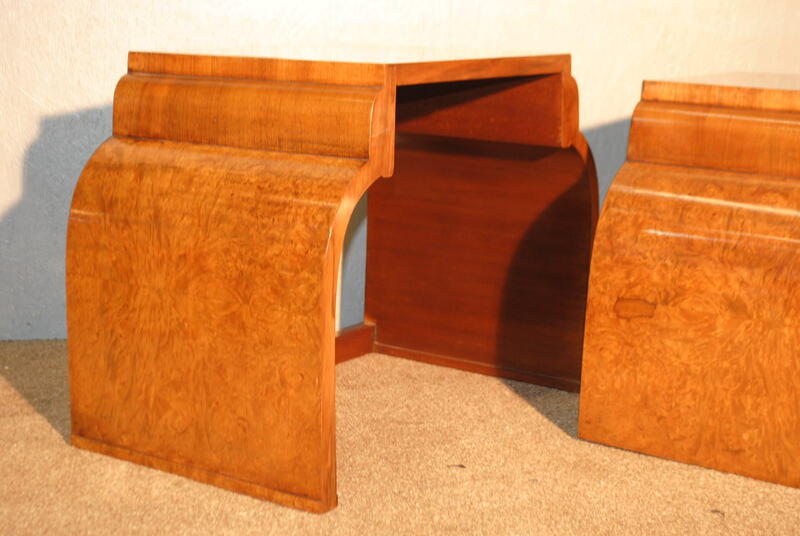 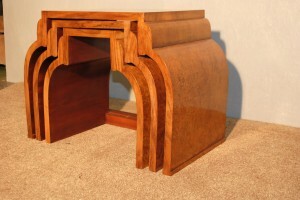 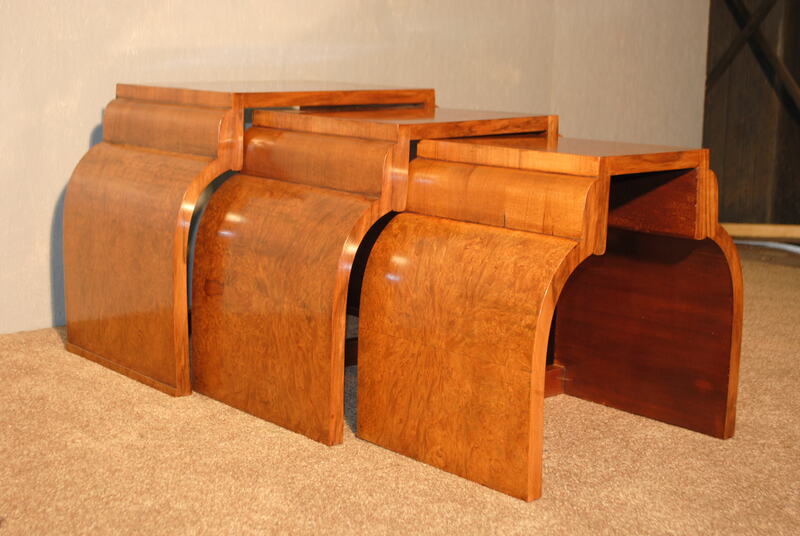 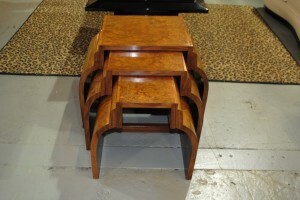 Stunning book matched veneers skillfully laid over cuban mahogany makes this set a must have for art deco enthusiasts.